The Tennessee Whiskey Trail has taken us from the pulse of Memphis—Beale Street, of course—right to five miles from my childhood home in Tullahoma. But it’s the Tennessee backroads that truly have my heart, so I was really looking forward to the middle leg of our journey the most. 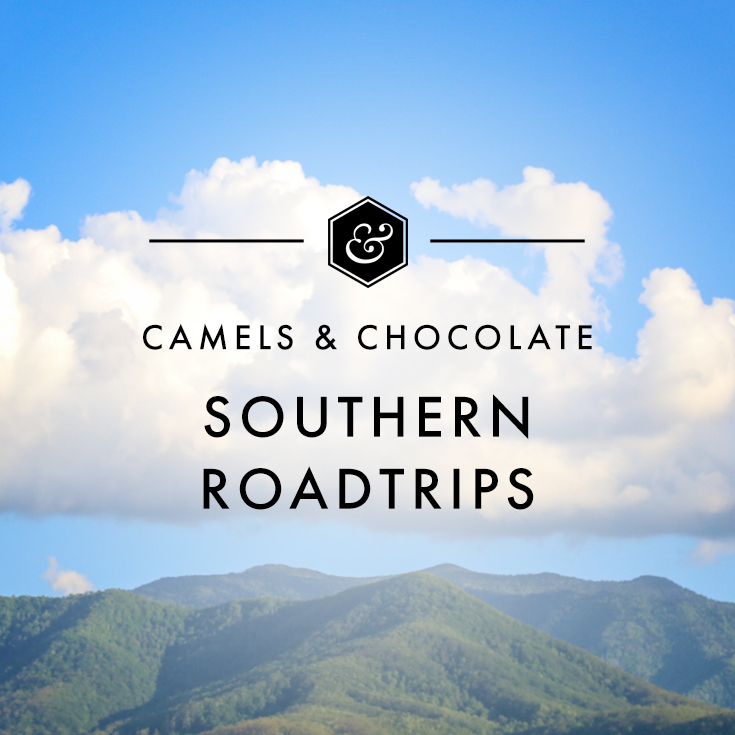 This is the third post in a series about the Tennessee Whiskey Trail. To read in chronological order, start with the backstory of how the trail came to be, then follow us to the far corner of West Tennessee in Memphis and on into Nashville. The limestone hills, deep wells of mineral rich water, and fertile soil for the production of corn and grains means that the history of this area is steeped in distilling, particularly straight down the middle division. But, Jack Daniel’s and George Dickel were the only two legal manufacturers in Tennessee to survive the political and social upheaval that followed the great purges of alcohol production during and after Prohibition. The era of teetotalers—from the 1820s onward to its climax in the ratification on January 16, 1919 of the 18th Amendment to the Constitution of the United States—took unprecedented sledgehammers to the liquor laws of this country and virtually decimated the industry. Tennessee was on the bleeding edge of this movement, having adopted a statewide ban on the manufacture of alcohol as early as 1909, with earlier efforts in the late 1800s slowly squeezing the life out of the industry until the full ban could be implemented. Even when the government sobered up (ha) and realized how big of a mistake it had made, the damage was done. While the 21st Amendment, ratified in 1933, was a relief to many thirsty Americans and businesses, the entire regulatory and industrial structure was turned on its head and elements of Prohibition still remained under the law (and still do to this day). 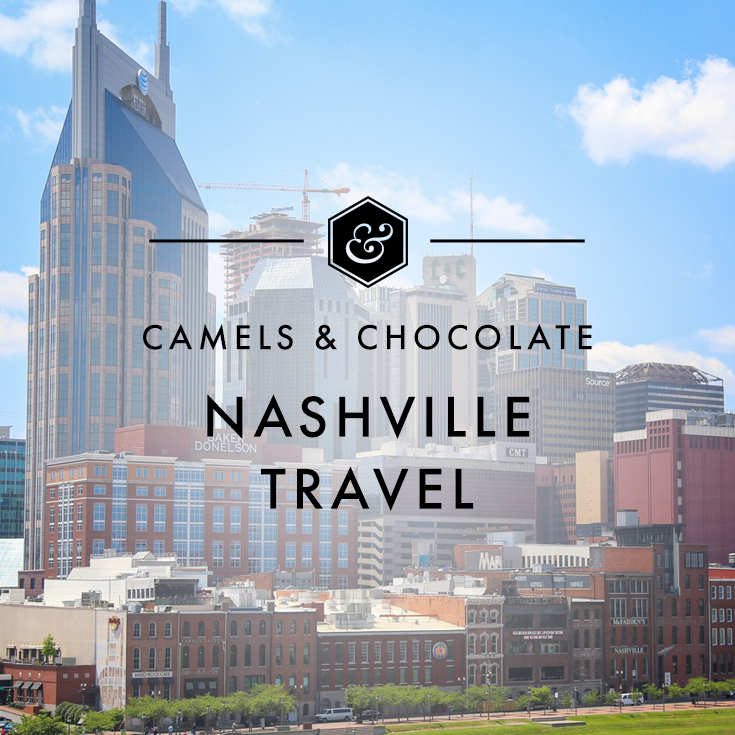 For those of you touching down in Nashville with only a couple days to hit the trail, these are the parts I recommend if you want a true taste of the culture, history and of course, spirit that the middle section of Tennessee has to offer. And you know I have to say it, but always take a designated driver. You’ll have more fun, taste more things and there won’t be a chance your name and mugshot will appear in the local newspaper after being arrested by a smartly dressed State Trooper in a wide-brimmed hat. A lawyer by trade, proprietor Heath Clark helped get the ball rolling with his law degree, but didn’t open his own distillery until 2014. H. Clark is a true micro-distillery in the very sense of the word: The distillery is just 1,200 square feet in size, the team focuses on producing a small selection of high-end spirits, and bonus, you’ll likely get to meet Heath while there (if you can pull him away from his lawyering). His Tennessee Dry Gin is an exceptional addition to anyone’s liquor cabinet, and if you’re lucky enough to corner Dixie, the distiller, he will patiently explain the process for making one of SVV’s favorite new whiskeys, the Black & Tan. One of the prettiest properties in the state, Leiper’s Fork Distillery has a stunning gift shop, tasting room, and log cabin fronting a 5,000-square-foot distillery with an event space on 27 grassy acres. Lee Kennedy, the master distiller, often conducts the tour personally at this mid-sized, family-friendly, small-batch operation, and you can’t go wrong with a full tasting of their Hunter’s Select and a sneak-peek sampling of their raw, wheated distillates, which will be embargoed inside a barrel for a few more years. These folks plan to have their first release of site-made whiskey and bourbon by 2021. This particular distillery gets SVV super animated about the future of the industry here, as LFD is putting up eight or more barrels of product every week with a heavy emphasis on the wheat for their bourbon and with a rye-forward recipe for their whiskey. The birth of this lovely little destination in the small town of Lynnville came from the minds of an engineer and a radiologist in 2011. As with many of the brains behind the business that we’ve met along the whiskey trail, the backstory of how a couple of friends or family members banded together to conquer the concept of brewing up liquor is a fascinating one, and a reformed scientist with itchy feet is definitely a trend we’re seeing. It’s encouraging and inspiring because they take an entirely different approach to the task. Clayton James is Tenn South Distillery’s signature addition to the whiskey trail. The distiller Clayton Cutler makes deep cuts into the heart of the distillation process, keeping the purest spirits only, then runs his distillate through sugar maple charcoal chunks under pressure before it is barreled into new white oak barrels. This is an original way of reading the rules of the Lincoln County Process, which legally defines the how and the why of when whiskey can be called Tennessee Whiskey, and Clayton nibbles around the edges of this strict legislation to get his desired result: a filtering process that actually pulls flavor from the charcoal, resulting in a bit of smoke and sugar making their way into the taste and mouthfeel of this 90-proof spirit. The distillery came out of the gate in 2013 with an All Purpose Shine, which harkens to an antique, white flour branding motif and uses just three local ingredients in a no-cook process that some have called the original method of making moonshine. Their All Mighty Moonshine was released shortly thereafter, and features a still-strength, 140-proof, light-your-pants-on-fire potion in the bottle. In addition to cooking up ‘shine and putting away whiskey and bourbon, Tenn South also has a close relationship with Big Machine and produces the music label’s branded vodka on a custom-built Vendome that is unlike any that we’ve seen before. Besides being filtered through platinum beads, which is already sci-fi level stuff, the system uses a copper flying saucer type contraption for the continuous column apparatus. Parked on gorgeous rolling countryside in the heart of Lincoln County, Southern Pride Distillery embodies the scrappy, Southern way of doing things. Randy Trentham, the proprietor of this classic small-batch distillery, owns the distinction of being the only facility to operate in the actual county (Lincoln) from which the Tennessee Whiskey designation originates. His product is based around an old family recipe for moonshine with varying flavors but he’s also putting up some quality whiskey that’s just now coming of age. The Double Barrel Whiskey was SVV’s favorite. As with many of the distilleries on the trail, this tour is free and includes a judicious range of samples in the tasting room—not to mention, a one-on-one with Randy himself, who is one of the most animated characters we met on our trail journey. Housed in an old elementary school, Prichard’s Distillery is an operation that spans a wide range of products, and they proudly lay claim to being the only distillery allowed to make Tennessee Whiskey without the Lincoln County Process. This is due to a grandfathering clause contained in legislation (Tenn. Code Ann. § 57-2-106 ) enacted in 2013 that defined the conditions for labeling a whiskey here. Prichard’s is best known for its rum, which is delicious, and has been in operation since 1999, though the family heritage in distilling—from Granddaddy Benjamin Prichard of Davidson County—dates back to the 1800s. You can’t even mention Tennessee Whiskey, or whiskey at all for that matter, in the same sentence without Old No. 7 entering the scene. Jasper Newton Daniel, Jack to his friends, broke the seal of legitimate distilling for everyone in this country. As the first registered distiller on the continent that was legally authorized by the federal government back in 1866, Jack Daniel’s leads the pack as the most recognizable brand in the world and is most certainly the largest distributor of whiskey, reaching all corners of the globe. JD started offering tasting tours a little over a year ago, and there are now four different tasting tours and one “dry county tour” (read: no booze): We did the Angel’s Share tour and got to sample many of their single barrel products (read: there is booze and it’s delicious). Over 280,000 visitors come to Lynchburg every year to experience its whiskey namesake; for a town of just over 6,000 in the heart of rural America, the tourism boom caused by this influx of people from around the globe brings needed juice to the economy. Surrounded by the bucolic Cascade Hollow just off Interstate 24 in Coffee County with lovely limestone hills, a clear spring-fed creek and dense hardwood forests, the newly expanded and upgraded distillery of George Dickel is keeping alive a once neglected brand. Diageo, the parent company, is one of the world’s largest alcoholic beverage producers, and is behind big names such as Johnnie Walker, Guinness, Crown Royal and Don Julio, to name but a few. It was only three years ago that George Dickel awoke from being a sleepy destination to become a powerhouse once again in the Tennessee whiskey industry. Following a rebrand and manufacturing line reboot, the property is poised to capture a large market and share tourists with the well-worn pathway to Lynchburg. With a separate greeting house, bottle room and merchandise area due for further expansion to include a 2,000 person event space for porch session musical events, the VIP rooms, streaming one-on-one recording room and enlarged tasting room are on tap for 2018. They have a high-end barrel program, have put up some top notch whiskys with their barrel selects and even “found” a lost batch of whisky recently that was 17 years old and released under the label Distillery Reserve. Dickel also has a new rye whisky, which is spicy and smooth because it’s filtered through charcoal in the Lincoln County Process. As if his whiskey weren’t enough, Heath Frazier’s Jug Creek Distillery is worth visiting for a little quality time with the owner-distiller himself. Donning his signature Aviators, Heath might be able to pass as an Eric Church doppelganger, and we love his approach of producing unique flavors more through feeling than science—though make no mistake, he was a pediatric nurse practitioner for nearly 20 years, so the chemistry that accompanies distilling came naturally to him. Still, he plays around with different ingredients like chicory, bananas and cacao to produce fan favorites such as Granddad’s Coffee Creamer, Nana’s Nanner Puddin and a Wicked Chocolate Cranberry Oaked that we will be drinking from now on. The property itself is a gem: At 54 acres, Jug Creek Distillery has plenty of room to grow, and the Fraziers use their scenic sprawl to host holiday shindigs and other semi-regular weekend events beneath the pavilion. There’s also a children’s playground, a pumpkin patch, an apiary and even a pair of pet pigs. As country music lovers, we loved how Heath named his stills after the greats (Merle, Little Jimmy, Cash), and even his cats bear similar names: Loretta and Doolittle. We’ve been paying attention to the thriving fermentation culture taking place just beyond Woodbury in an enclave called Short Mountain, and Billy Kauffman is one of the pioneers of the startup movement there, having owned a cattle farm for more than a decade and the distillery for nearly six years. We’d been to Short Mountain before, but hadn’t gotten the chance to sit down and talk to Billy about how it came to be until our trail project. He was actually one of the driving forces behind the formation of the guild—as well as its first president—and the distillery has really upped the tourism profile of Cannon County since it opened in 2012. He’s just starting to release some aged whiskey and rye, and SVV stands by his claim that it’s some of the best product you’ll find on the entire trail. Short Mountain isn’t just a distillery, though; it’s also a restaurant and a multipurpose venue. On weekends, it becomes a wedding site or a stage for Nashville songwriters, in the fall, it transforms into the Haunted Woods, and throughout the year, it plays hosts to numerous other events. There’s a bluegrass brunch every Sunday and cocktail classes on Fridays and Saturdays. Because the Middle Tennessee section of the trail twists and turns and loops every which way, I’d suggest making your base as central as possible in Franklin. Be sure and check out Franklin’s historic downtown and Civil War monuments while you’re there. 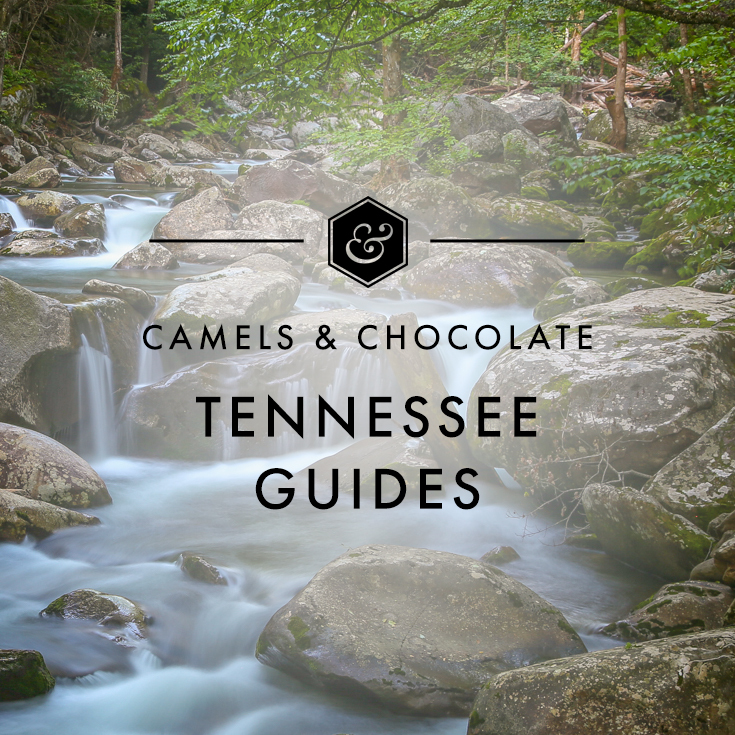 This post is part of a partnership with the Tennessee Distillers Guild. It’s amazing to me how many prohibition-era laws are still on the books today and how many have stopped delicious booze production. In Virginia, one of our breweries worked real hard to change some old laws about beer-making and now we’re having a beer boom that is delicious. Right? Also, happy Repeal Day! Also also, we need to take a booze tour together one of these days 😉 Beer Tour of Virginia 2018? Wow! The Tennessee Whiskey Trail seems like something I would love to explore and experience very soon, Kristin. Thanks for sharing your inspiring adventure and a motivating story!